8.2 BAS - Alarvac Systems Inc. 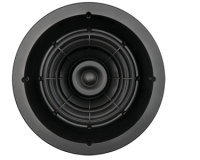 The 8″ In-Ceiling Bass Augmentation System enhances the low frequency response of any in-ceiling or in-wall speaker system; this is particularly effective in large rooms. The BAS systems have built-in crossovers. This allows you to connect your in-ceiling or in-wall speakers to the BAS, which will direct the bass to the BAS and the higher frequencies to your other (satellite) speakers.By selecting one of the three frequency settings, you can control the amount of bass that is sent to the BAS. For instance, if you have small speakers you would set the switch to a high frequency. This will allow your small speakers to play effortlessly, hence, sound better with less distortion. 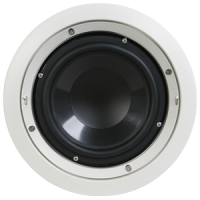 If you have larger speakers, you would set the switch to a low frequency, allowing your larger speakers to reproduce the mid bass and the BAS to play only the low, or sub-bass. This will produce tighter and deeper bass.